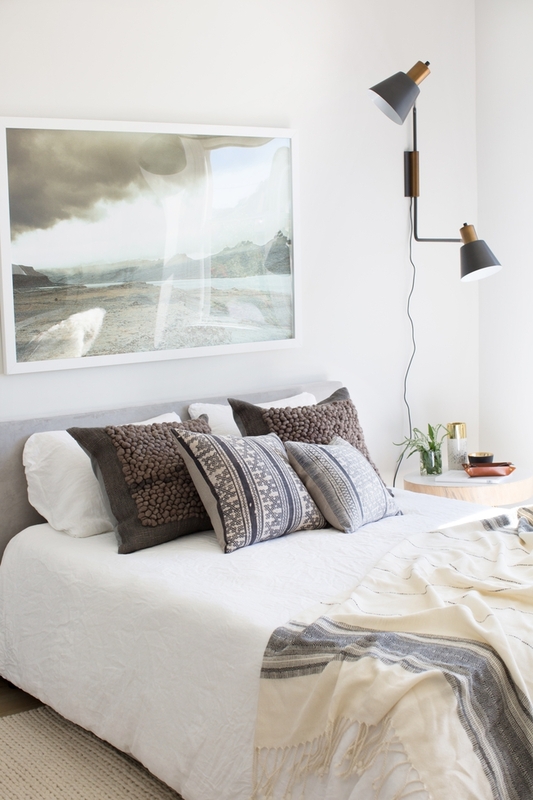 Once you've tapped Decorist's online interior designers to create your dream room (or rooms! ), how do you keep it looking as good six months later as it did on day one? We've picked up a few tips and tricks from our designers and stylists to help you get that magazine-worthy look every day of the week. The best part? These styling tactics won't break the bank. Open shelving is all the rage in interiors magazines, but if your kitchen doesn't look like this, have no fear. 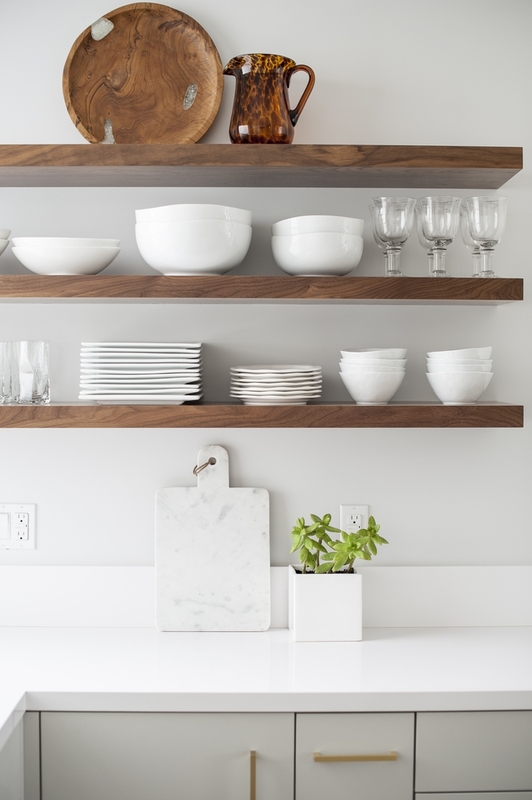 Just grouping like items—such as these stacks of white bowls and dishes—can have a major impact, no matter what accessories you're working with. Your collection can be as small as three items—we're not talking about a lifelong collection Madame Alexander dolls (please, no). Remember: good things come in threes. 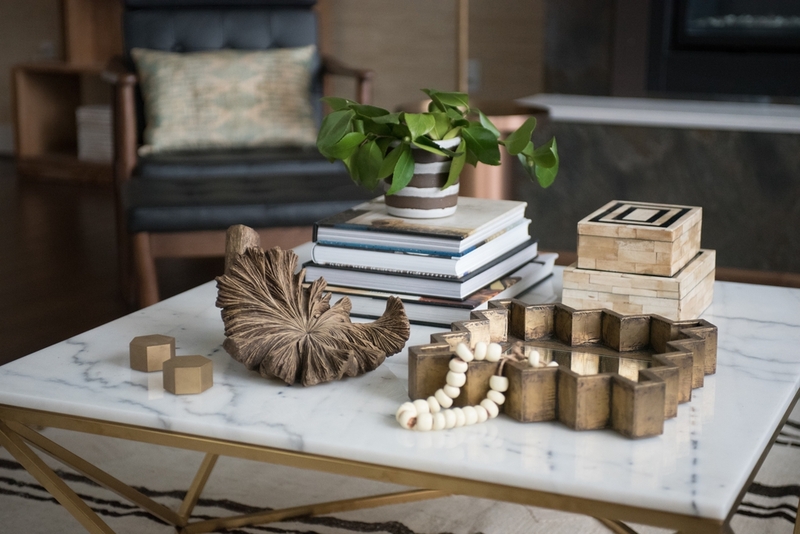 Try showcasing a few blown glass accents, a trio of wooden boxes, or books with similar spines. There's nothing like a sheepskin throw gently tossed over the back of a dining chair, armchair or sofa to make your home look like it's just been zhooshed by a professional. The best part? This versatile textile is an affordable home accent that you can pick up at countless retailers. Not to mention, it's a cozy addition to your home—you'll want one in every room! Interior stylists have a magical way of tossing throw blankets at the foot of the bed or across the sofa that makes a room look stylishly lived-in. We'll be honest: It's an art, not a science. One element of the secret sauce is ensuring that things are otherwise neat and orderly, so your space doesn't look downright messy, but instead, looks inviting. Test a few trial runs of actually tossing your throw until it has nice, billowy folds with a little bit of movement. "Lived-in" is the feeling all good interior stylists trying to evoke when styling any room in the house. In the dining room, one of the best tricks of the trade is to pull or slightly turn out one or two dining chairs so it looks as if someone has just stepped away from the table. This may drive the orderly among you absolutely nuts, but, my, will it look beautiful. What do bathroom necessities, spirits, and oil and vinegar all have in common? They all look remarkably better when corraled on a tray. Somehow a simple tray can make clutter and functional household items appear simultaneously purposeful and chic. Better yet, trays are unbelievably democratic: A good-looking tray can cost under $10 or over $200. Whatever your budget, there's a handsome tray out there for you! 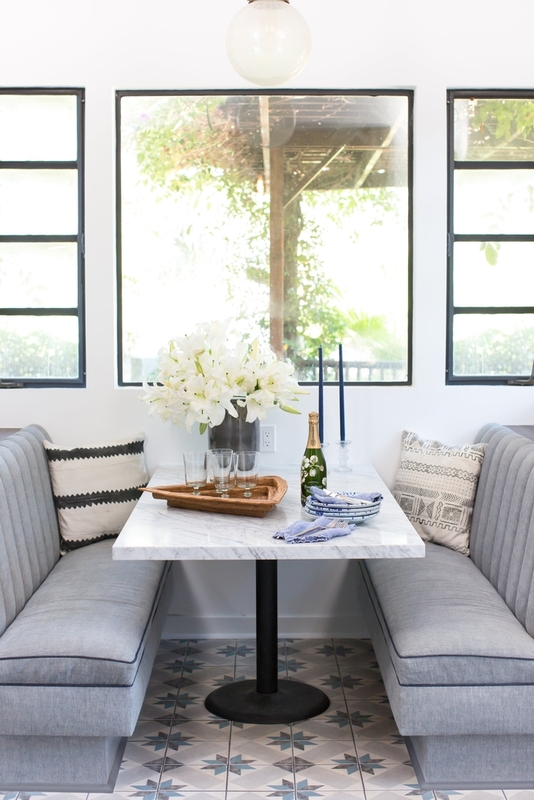 Want to style your kitchen or dining room like a magazine? Look no further than this foolproof trick: Take one stack of plates, set some cloth napkins on top of it, and finish with a handful of silverware. Beside it, lay one napkin topped with a place setting of silverware, as if you're just about to set the table. Flip through your favorite interiors or food magazine and you'll begin to see this styling trick everywhere! We're not quite sure how beads became the objet de rigueur in the design world, but they certainly are. If you happen to have a set of antique prayer beads (quite popular) or a necklace with chunky beads around the house, try laying them over your coffee table accessories or hanging them on a mirror as that perfect finishing touch. It's amazing how something so small can be the je ne sais quoi your room needs. Want some help making your home look like a magazine? 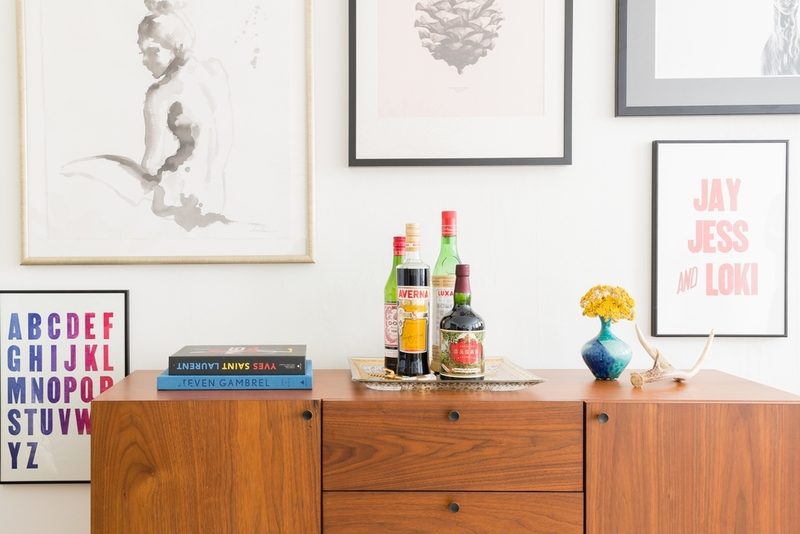 Tap one of Decorist's online designers for a picture-perfect room makeover.